In the close vicinity of the Templar city of Tomar, Portugal, one of the most evocative Templar Castles in the world can be found: Almourol. Situated in a small island in the middle of the Tagus river, overseeing both margins and guarding secret Templar routes from all enemies, Almourol is the subject of legend. In late 2018 the Municipality of Vila Nova da Barquinha opened right in the center of the village, the new Centro de Interpretação Templária (Templar Interpretation Center), a place where the Templar Order and its continuation in the Order of Christ (of Discoveries fame) is celebrated with dedicated exhibitions, conferences, a comprehensive library and multimedia displays available to the public to explore. 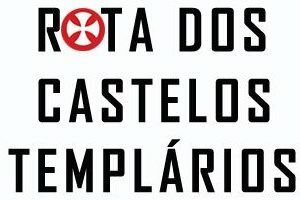 The Center had the major backing, apart from the Municipality and the Portuguese Army that currently has jurisdiction over the Almourol castle, of researcher, philosopher and historian Prof. Manuel J. Gandra, the most respected authority in Templar studies in Portugal – not only because of his strong academic background, but also because he has been the most prolific and consistent author on the theme in the last 25 years. 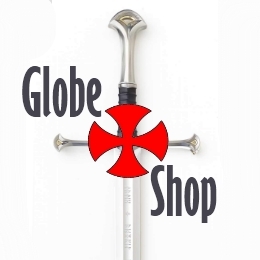 The Center and Prof. Gandra’s work have been fully endorsed by the OSMTHU, that plans to promote a few cultural events in 2019 and 2020 and associate the Order to this beacon of Templar history that merits the attention and collaboration of the Templar world. 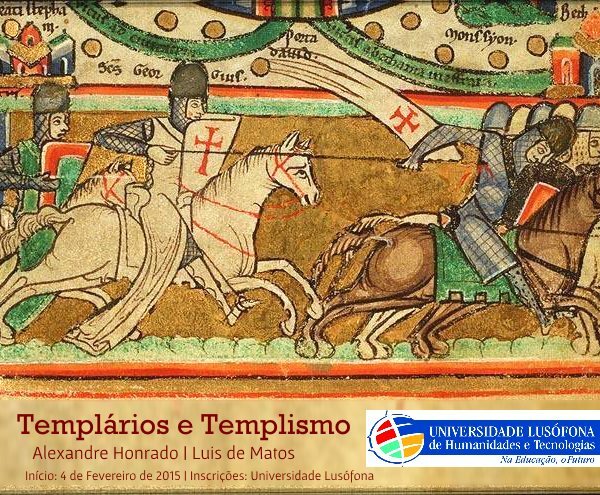 The Templar Globe is preparing an interview with Prof. Gandra about the TIC. Meanwhile, please take a look at a video about this remarkable place. This entry was posted in Akademy, Art, Events, History, in English, News, Portugal, Templar Sites, Tomar, Video and tagged ordre du temple, Templars, temple, templiers. The Order of Santiago is a Christian religious-military order of knights that was founded in Spain during the Middle Ages. Like the Templars and Hospitallers, the order was established to protect pilgrims and to fight against the Muslims. Instead of the Holy Land, however, the Order of Santiago carried out their duties in Spain. The order continues to exist today though as a civil association. The Order of Santiago (known also as the Order of Saint James of the Sword) is one of the four Spanish military orders, the other three being the Orders of Calatrava, Alcántara, and Montesa. According to legend the order was founded by Ramiro I, the king of Asturias, during the 9 th century. The king had won a great victory over the Moors during the Battle of Clavijo in 844 AD. This battle had a great impact on Spain’s national identity. For instance, the triumph of the outnumbered Christians was attributed to the apparition of Saint James, thus contributing to his adoption as the patron saint of Spain. Additionally, the site of Santiago de Compostela developed into an important pilgrimage center and the pilgrims were protected by cavalry. When Was the Order of Santiago Founded? The Battle of Clavijo, however, is considered by historians to be fictional and therefore the Order of Santiago is very unlikely to have been founded during the 9 th century. Instead, it is generally accepted that the order was established around the middle of the 12 th century. The exact details surrounding the founding of the order, however, are obscure as there are two rival claimants for the honor. According to one account, the order had been founded by Ferdinand II, the king of León, in 1171. While on his way back to León from Badajoz, the king took control of the city of Cáceres. It was there that he, the bishop of Salamanca, and 13 knights established the Order of the Fratres of Cáceres. In the same year, the order received its first rule from Cardinal Jacinto, the legate of Pope Alexander III in Spain. Pedro Fernández de Castro served as its first grandmaster. De Castro was a veteran warrior who had gone on a pilgrimage to the Holy Land, where he encountered the Templars and was inspired to establish a similar order in his homeland. Why Was the Order of Santiago Founded? In 1173, the Almohads launched an attack on Cáceres to retake the city. Although the city was captured, the knights refused to surrender and continued to fight. After the battle, the knights were decapitated, and their heads displayed as trophies as a warning to the Christians. The remaining members of the order formed an alliance with the regular canons of Saint Augustine (as the knights themselves followed the Rule of Saint Augustine) and were now responsible for protecting the Sepulchre of Saint James at Santiago de Compostela and the pilgrims who journeyed there. Who Was the Founder of the Order of Santiago? In the meantime, the knights had lost their patron, as they had been expelled from Cáceres and were not on good terms with Ferdinand II. As a consequence, they began looking for a new patron and found one in Alfonso III, the king of Castille. In 1174 Alfonso III granted the knights the castle and village of Uclés (in Cuenca) which would serve as their new headquarters. Moreover, using his influence, Alfonso III had the pope, Alexander III, issue a bill recognizing the Order of Santiago as a religious order. Therefore, Alfonso III sometimes considered to be the founder of the order, as opposed to Ferdinand II. The Order of Santiago grew rapidly and at its height had more possessions than the two older orders of Calatrava and Alcántara combined. An important turning point in the history of the order occurred in 1499. The Reconquista had been completed by then and Spain was unified under the rule of the Catholic Monarchs, Ferdinand II of Aragon and Isabella I of Castile. In order to strengthen their own position, the rulers obtained permission from the pope to assign to them the administration of the three major Spanish orders – Santiago, Calatrava, and Alcántara. The power of the Spanish military orders came to an end during the reign of the Holy Roman emperor Charles V (who ruled the Spanish Empire as Charles I) when the orders were incorporated into the Spanish Crown. Although the orders were united under one government, they still had the right to hold their possessions, titles, and functions separately. Additionally, a Council of Orders was formed to oversee the administration of the orders. Nevertheless, the orders retained their prestige and many figures involved in the conquest and governance of Spain’s possessions in the New World hailed from these orders. As the Order of Santiago was part of the Spanish Crown it was suppressed in 1873 when Spain declared itself a republic for the first time. After the fall of this republic, the order was re-established though as a nobiliary institute. The order was once more suppressed following the proclamation of the second republic in 1931, which was followed by the Spanish Civil War and the dictatorship of Francisco Franco. Democracy was restored in 1976 and with it the monarchy and the Order of Santiago. The order continues to exist till this day. This entry was posted in Art, History, in English, Spain. El próximo 30 de agosto abrirá al público el Museo Casa del Temple en Toledo, una nueva oferta turística que sumará riqueza patrimonial y que permitirá conocer un Bien de Interés Cultural considerado la casa islámica más completa que existe hoy en día en la ciudad. Tal y como publica en su cuenta de Facebook el Museo Casa del Temple, el objetivo es convertir este espacio en un centro cultural, en sala de exposiciones, gastrobar y en lugar de eventos. Además, allí se expondrán un conjunto de piezas arqueológicas aparecidas en la casa, otras piezas de colecciones privadas, así como un 3D con el que entender la edificación en su origen. La actividad expositiva comenzará con una muestra del artista chileno afincado en España Guillermo Muñoz Vera. La Casa del Temple en Toledo data de los siglos XI-XII, perteneciendo a esta época la estructura general, típicamente andalusí, sustentada por las bóvedas del sótano y organizada en torno al patio. Diversas fuentes coinciden en señalar que el inmueble fue, en tiempos, propiedad de la Orden de los Templarios, a los que probablemente les donase el edificio Alfonso VIII para recabar su apoyo a las diversas campañas militares del monarca. Enclavada en pleno Casco Histórico, justo al lado de San Miguel el Alto, sus alfarjes fueron restaurados en 2017 por el Consorcio de la ciudad, entrando a formar parte de las rutas del patrimonio desconocido. Bien de Interés Cultural con la categoría de monumento desde 2002, el patio interior de la planta baja comunica con las cuatro crujías que definen el inmueble. Lo que vemos a nuestro alrededor son un arco de medio punto decorado con yeserías mudéjares y, ojo, el forjado del techo primitivo, que se supone que es anterior a 1109 y con canes labrados en el interior del patio. Y en uno de sus laterales conserva el alfarje con las tabicas originales. A cada lado de esta entrada, dos arcos de herradura apuntados y decorado con finas yeserías. Ya en el sótano se encuentra un salón con un zócalo decorado con pinturas y que representan arcos entrecruzados, temas vegetales y una cenefa, todo supuestamente anterior a 1109. A lo que hay su añadir la planta primera y el ático. This entry was posted in Art, en Castellano, History, News, Spain, Templar Sites, Travel and tagged Templários, Toledo. What exactly is the Holy Grail – and why has its meaning eluded us for centuries? Type “Holy Grail” into Google and … well, you probably don’t need me to finish that sentence. The sheer multiplicity of what any search engine throws up demonstrates that there is no clear consensus as to what the Grail is or was. But that doesn’t mean there aren’t plenty of people out there claiming to know its history, true meaning and even where to find it. Modern authors, perhaps most (in)famously Dan Brown, offer new interpretations and, even when these are clearly and explicitly rooted in little more than imaginative fiction, they get picked up and bandied about as if a new scientific and irrefutable truth has been discovered. The Grail, though, will perhaps always eschew definition. But why? The first known mention of a Grail (“un graal”) is made in a narrative spun by a 12th century writer of French romance, Chrétien de Troyes, who might reasonably be referred to as the Dan Brown of his day – though some scholars would argue that the quality of Chrétien’s writing far exceeds anything Brown has so far produced. Chrétien’s Grail is mystical indeed – it is a dish, big and wide enough to take a salmon, that seems capable to delivering food and sustenance. To obtain the Grail requires asking a particular question at the Grail Castle. Unfortunately, the exact question (“Whom does the Grail serve?”) is only revealed after the Grail quester, the hapless Perceval, has missed the opportunity to ask it. It seems he is not quite ready, not quite mature enough, for the Grail. But if this dish is the “first” Grail, then why do we now have so many possible Grails? Indeed, it is, at turns, depicted as the chalice of the Last Supper or of the Crucifixion or both, or as a stone containing the elixir of life, or even as the bloodline of Christ. And this list is hardly exhaustive. The reason most likely has to do with the fact that Chrétien appears to have died before completing his story, leaving the crucial questions as to what the Grail is and means tantalisingly unanswered. And it did not take long for others to try to answer them for him. Robert de Boron, a poet writing within 20 or so years of Chrétien (circa 1190-1200), seems to have been the first to have associated the Grail with the cup of the Last Supper. In Robert’s prehistory of the object, Joseph of Arimathea took the Grail to the Crucifixion and used it to catch Christ’s blood. In the years that followed (1200-1230), anonymous writers of prose romances fixated upon the Last Supper’s Holy Chalice and made the Grail the subject of a quest by various knights of King Arthur’s court. In Germany, by contrast, the knight and poet Wolfram von Eschenbach reimagined the Grail as “Lapsit exillis” – an item more commonly referred to these days as the “Philosopher’s Stone”. None of these is anything like Chrétien’s Grail, of course, so we can fairly ask: did medieval audiences have any more of a clue about the nature of the Holy Grail than we do today? My recent book delves into the medieval publishing history of the French romances that contain references to the Grail legend, asking questions about the narratives’ compilation into manuscript books. Sometimes, a given text will be bound alongside other types of texts, some of which seemingly have nothing to do with the Grail whatsoever. So, what sorts of texts do we find accompanying Grail narratives in medieval books? Can this tell us anything about what medieval audiences knew or understood of the Grail? The picture is varied, but a broad chronological trend is possible to spot. Some of the few earliest manuscript books we still have see Grail narratives compiled alone, but a pattern quickly appears for including them into collected volumes. In these cases, Grail narratives can be found alongside historical, religious or other narrative (or fictional) texts. A picture emerges, therefore, of a Grail just as lacking in clear definition as that of today. Perhaps the Grail served as a useful tool that could be deployed in all manner of contexts to help communicate the required message, whatever that message may have been. We still see this today, of course, such as when we use the phrase “The Holy Grail of…” to describe the practically unobtainable, but highly desirable prize in just about any area you can think of. There is even a guitar effect-pedal named “holy grail”. Once the prose romances of the 13th century started to appear, though, the Grail took on a proper life of its own. Like a modern soap opera, these romances comprised vast reams of narrative threads, riddled with independent episodes and inconsistencies. They occupied entire books, often enormous and lavishly illustrated, and today these offer evidence that literature about the Grail evaded straightforward understanding and needed to be set apart – physically and figuratively. In other words, Grail literature had a distinctive quality – it was, as we might call it today, a genre in its own right. In the absence of clear definition, it is human nature to impose meaning. This is what happens with the Grail today and, according to the evidence of medieval book compilation, it is almost certainly what happened in the Middle Ages, too. Just as modern guitarists use their “holy grail” to experiment with all kinds of sounds, so medieval writers and publishers of romance used the Grail as an adaptable and creative instrument for conveying a particular message to their audience, the nature of which could be very different from one book to the next. Whether the audience always understood that message, of course, is another matter entirely. This entry was posted in Art, Articles, Books, History, Holy Grail, in English, Opinion, Religion and tagged Arthurian legend, Interdisciplinarity, king arthur, Medieval history, Medieval Myths and legends, religion. A beautiful gold and garnet cross, found on the breast of a teenage girl buried lying on her own bed about 1,300 years ago, has been presented to the Museum of Archaeology and Anthropology in Cambridge. The girl’s grave was found in 2011 by University of Cambridge archaeologists only a few miles from the museum, on land at Trumpington being developed for housing. The bed on which she lay – probably her own – had rotted into the soil centuries ago leaving only the iron supports, but the cross stitched onto the dress which became her shroud was still gleaming. Both bed burials and Anglo-Saxon jewellery of such regal quality are exceptionally rare finds. A handful of such burials from the late 7th century have been discovered, all believed to be of women, but only one other had a cross. The cross suggests that she was an early Christian convert, but she was buried between 650 and 680 AD in the pagan style with grave goods which were probably also treasured possessions, including gold and garnet pins, an iron knife, glass beads and a chain which probably hung from her belt. She was found among a group of burials, possibly of relatives, on a site with no previously known Anglo-Saxon connections. Her bones suggest that she was about 16, and there was no obvious cause of death. She would certainly have been from the Anglo-Saxon elite. Gold and garnet jewellery of such quality was once associated with the women of a royal family in Kent, but pieces are now turning up along the east coast of England. A beautiful brooch was recently reported, found by a student metal detectorist in Norfolk. The cross is thought to be worth more than £80,000, but has been presented to the museum by the landowners, Grosvenor. Jody Joy, senior curator at the museum, described it as “a beautiful, mysterious artefact”, which would allow the museum to tell the story of the coming of Christianity to the region. The cross and the girl’s other possessions are being put on temporary display at the museum while a permanent case is being commissioned. This entry was posted in Art, England and Wales, History, in English, News. A DARK Age palace has been discovered, strengthening the likelihood that the legend of King Arthur may be based on a grain of truth. A DARK Age palace has been uncovered on Cornwall’s windswept coast, strengthening the likelihood that the legend of King Arthur may be based on a grain of truth. Myth has it that King Arthur will return at the hour of Britain’s greatest need. It could certainly do with some help right now. Whether or not a new archaeological dig at his supposed birthplace of Tintagel Castle will prompt such a second coming is another matter. But it may already be adding to the evidence that the myth surrounding the warrior king who, with the knights of his roundtable, struggled to hold back a “Dark Age” from enveloping Britain. The Dark Age has long since proven to have been not so dark. But the scant records from the time have made pinning down one historical character that best fits the outline of the tale near impossible. Now, archaeologists have returned to Arthur’s traditional birthplace of Tintagel for the first time since the 1990s. They’ve just completed their first dig in a new five-year excavation. Last month they sank four trenches into previously unexcavated areas of the ancient island settlement. What they found may be the remains of a 1500-year-old palace. Like many prominent British landmarks, Tintagel has long been associated with Arthurian legend. Like all the others, the evidence has been largely limited to hearsay. The ruined castle that dominates the Tintagel landscape is believed to be from the Medieval 13th century. This would make it some 700 years younger than the Arthurian tales. But it’s long been thought that the castle may have itself been built upon the ruins of an older structure. But it was the discovery of a stone engraved with a name linked to Arthur’s in 1998 that reinvigorated interest in the windswept ruins on Cornwall’s coast. Archaeologists believe it to have been a foundation/dedication stone dating from the 6th century. It is engraved with the name Artognou. It’s these ruins that may have been linked to the Arthur of legend. The tales tell of the seduction — some say by magical means — of the beautiful wife of a local lord by the then King of Britain. The illicit act conceived Arthur. Mythology goes on to say the young boy was raised as a squire — a knight’s assistant — until fate took its hand and placed the rightful king on his throne. The first written record of the mystic king comes from a monk named Gildas in the sixth century. But it was a time where books were scarce and the most common form of transmitting history — and telling tales — was through memorised songs and poetry. It took two several more centuries before a more detailed account of King Arthur and his actions would be recorded by Geoffrey of Monmouth in 1138AD. Unwinding his tangle of myth, legend and history has been a challenge for authors and historians ever since. At the time of Monmouth’s writing, historians believe Tintagel would likely have been little more than a windswept pile of rubble. So the notion of it being a powerful palace would have had to have been handed down verbally through the generations. Just like the tale of Arthur himself. The archaeologists were guided in their efforts by geophysical surveys of the rocky outcrop’s terraces earlier this year. Among the ultrasound and radar echoes were outlines of what could be up to a dozen buried buildings, one-metre thick walls and winding paths. The strategically positioned trenches, two on an upper east terrace and two to the south, have all provided a glimpse of the stonework foundations of long-lost buildings. From the scattering of potsherds and glass, this places the site smack between 400 and 600AD — precisely the time Arthur is supposed to have led his war band against the invading hordes. None of this proves Arthur existed. But the new finds add substance to the idea that the site could have produced cultured but strong warriors as well as influential political figures. It would have been a beacon of lost civilisation in a world of economic chaos and roving, marauding tribes. Much of the 150 fragments of glass and pottery recovered had been imported from the far reaches of the then collapsing Roman Empire — indicating a place of both great wealth and trade importance. One piece was the lip of a Turkish-Phocaean red-slip plate or bowl. It was a particularly fine and highly prized ceramic that would likely have held pride of place on the table of nobility. Original excavation work in the 1930s led archaeologists to believe the cliffside landmark may have once been an Early Christian monastery. Later work has steadily strengthened the idea that it may have been an important Dark Age fortress, held by the king of Dumnonia who filled the void in Cornwall left when the Romans abandoned Britain in 410AD. This entry was posted in Art, Articles, England and Wales, History, Holy Grail, in English, News.